May 2009 What Exactly Are You Putting on Your Skin? Perfume making has a long history, dating back thousands of years to ancient times. In ancient Egypt, perfumes were made from macerating exotic botanical materials such as flower petals, plant seeds, tree bark, fruits, plant roots and leaves, mixing them with natural gum and resins and soaking them in a fat or oil base. The use of these aromatic plant materials was actually an early form of aromatherapy. The techniques used then for gathering natural materials, has remained almost unchanged over time. Cleopatra, renowned for her beauty, used essential oils to soothe and nourish her skin. Historians report she was also talented at making her own perfumes. A popular ancient Egyptian perfume was called Kyphi, and was made from peppermint, myrrh, saffron, cinnamon and juniper. 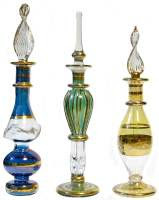 They also crafted some of the first glass perfume bottles, coloring them after the colors of gem stones. The Egyptians also burned various aromatic substances throughout the day for specific rituals. The use of perfumes in religious rituals eventually expanded, and from 1580 to 1085 B.C. perfumes were not only burned as incense, but were also used in scented balms and oils applied on the body for medial and cosmetic purposes. Egyptian women, including Cleopatra, soon learned perfumes could be used as weapons of seduction. The Egyptians knowledge of perfumed oils grew and led them to creating the oils necessary to embalm the dead. During the Egyptian reign, they became renowned for their knowledge and production of essential oils. This expertise brought them great wealth, as they sent these oils around the world via trade routes. Due to their continued dedication, the art of healing body and soul became a science and has endured through the ages. To this day, ancient Egyptians are still considered prime contributors of a selection of exotically-fragrant essential oils, which remain popular today. Common plants from ancient times are still used in modern day perfumery; amyris, tuberose, cassie and narcissus are used in expensive perfumes. In anc ient Greece, a new technique added spices and balsams to perfumes and they were mixed into creams. These aromas provided a source of pleasure. They favored using roses, lilies and violets and immersed these botanicals in hot oils. The Greeks also honored their dead war heroes with rituals that included burning perfume. Hippocrates (460 B.C. - 377 B.C. ), known as the founder of medicine, used perfumed oils in medical practices he performed. The ancient Romans with their Roman baths, should perhaps, be considered the originators of the modern day spa. The Romans favored lavender and often added this to their baths. They would spray the soles of their sandals, the heads of their guests during banquets, door sills and military flags in effort to attract good luck. In perfume making, they also improved maceration techniques and developed the technique of using perfumed petals to saturate a fat, called enfleurage. 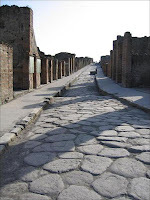 The interest in perfumery also captivated the the people of Pompeii in 79 A.D. Beneath the lava and ash of the fateful volcanic eruption of Mount Vesuvius, archaeologists uncovered evidence of perfume production. They discovered equipment and materials commonly used in the making of perfume. 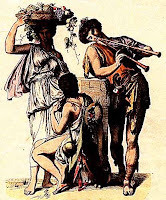 The Pompeians used rose, jasmine, lily, marjoram, fennel and laurel in their perfumes. These ancient plants are still used in perfumery today. The next most important advance to the making of perfume is attributed to the Arabs. They invented steam distillation, as well as the coil and still needed to accomplish it. This discovery led to experimentation, which resulted in the use of alcohol as the base of all perfumes, just as they are known today. The Arabs also invented the use of distilled rain water for the purification of pastes and resins used in perfumery. During the Middle Ages and Renaissance period, perfumes were used for therapeutic and medicinal treatments. Perfume began to be applied to collars, rosaries and aromatic "cushions" which, were worn around the neck or as a bracelet. Hungry Water, considered the first personal perfume, was formulated in 1370.This famous formula was derived from the essences of rose, mint, lemon balm, rosemary, lemon and orange blossoms, and remained popular in the perfume market for several centuries. During the 16th and 17th centuries, many Europeans devoted a room in their homes to the making of home-made cosmetics and perfumes, utilizing local plant materials. During this time period, perfumes actually replaced bathing, with people covering their entire bodies with powders, oils and aromatic waters. This infatuation with perfume spread to everything from letters, to wigs, fans, cushions and religious objects. During the 17th century, the perfume industry became established quickly with the release of perfumed gloves. This soon led to Paris establishing itself as the head of the perfume industry in France. Perfumes were so popular France's queen, Marie Antoinette (1755-1793), engaged her own perfumer who made her many natural perfumes and fragrances. Those scents favored by Marie Antoinette derived from violet, jonquil, rose, lily and tuberose. As science progressed toward the end of the 18th century and entered into the Industrial Revolution, scientists learned how to replicate the fragrances found in nature and gradually introduced them into perfume production. As "science" persuaded people synthetics were better, and because synthetic ingredients were cheaper to produce, these chemical duplicates became widely used. Creating perfumes from essential oils was time consuming and costly, and in the past, only the wealthy could afford to purchase such a luxury item. However, with the advent of synthetic replication, mass production ensued, making perfume affordable for a greater number of people, thus an industry was born. Today, "natural" refers to the source of the material and the extraction method used. The purer the natural materials are, the more costly it is, as purity affects the quality of the scent produced. Many of the chemicals found in fragrances are from the natural chemicals occurring in flowers, fruits, trees, etc. and therefore, are naturally derived. Natural perfumes are more in harmony with the body and retain the vitality of the plant material used to make them. Natural aromatic plants have value, healing capabilities and aromatherapy properties, which are lost with synthetic replication. However, there are many plants and flowers unable to naturally produce an essential oil, therefore, to be able to enjoy that fragrance beyond the plant itself, a synthetic duplicate is needed. 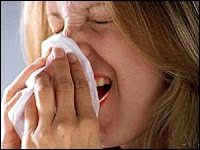 Examples of scents unavailable as an essential oil are lilac and lily. My favorite flower scent is lilac, and I have no objections enjoying the synthetic duplicate, which is spot-on. There is more to synthetic perfume today than just the fragrance. These artificial fragrances, as previously mentioned, are chemically reproduced mainly to reduce the costs of producing the perfume. Excluding the flowers which are unable to produce an essential oil, synthetics are used because precious oils from flowers, such as the rose or jasmine, require many, many petals in order to extract a small amount of oil. The cost for one ounce of an exotic essential oil can be thousands of dollars. In addition, some often used essential oils are becoming rare, such as sandalwood, due to over harvesting, which has depleted the forests of this beloved tree. I believe the problem with commercial perfume today, is not the synthetic fragrance itself, but rather the complex mixture of chemicals used in addition to the fragrance. 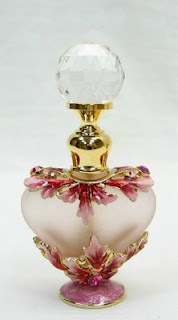 The perfume chemist will take the fragrance selected and add a solvent to it. This allows it to evaporate slowly, so the scent is given off over a period of time and not all at once. Common solvents used are acetone (common in commercial cologne), or ethanol. Then, stabilizers and fillers are added to bulk up the fragrance and to ensure it doesn't degrade over time. Sometimes, the solvent will also act as a preservative and filler. These added chemicals have been known to produce adverse effects in people with chemical sensitivity, causing headaches, breathing difficulties, nausea and other unpleasant reactions, affecting the body through direct contact or inhalation. Although these chemicals are considered safe in the small amounts used, those prone to allergies, chemical sensitivity, or have asthma, are more likely to suffer a reaction by just being exposed to someone wearing an offending perfume. Wearing commercial perfumes also contributes to indoor pollution, making it difficult for those who suffer from allergic reactions to be in public places. The use of essential oils is experiencing a resurgence and their ancient use for treating common skin problems is making a comeback. Natural perfumes can be made from essential oils mixed with a base oil, alcohol, or water and an emulsifier. People are less likely to have an adverse reaction to fragrances made from pure essential oils, and just like Cleopatra discovered, essential oils are capable of soothing and nourishing our skin. For a selection of products formulated with pure essential oils, visit essensu holistic skincare. ** There has been current concern over the use of phthalates, such as DEP, in fragrance oils. Phthalates may act as hormone disruptors and can be an irritant. At essensu, when we purchase fragrance oils, we purchase phthalate-free fragrances. However, please note the studies performed on phthalates often fail to mention there are three main categories of phthalates, and the ones which are of real concern are those used in cleaning products, air fresheners, paint products, solvants, pesticide sprays, and other related products.